All I can think of in this weather is my bed. Sleeping in it. Morning, noon and night. Waking up to cuddles and soup. Forget pots of tea and freshly-baked cookies. Love and soup are errthang. Err single thang. There’s something about rainy season that brings out the romantic in me. But I’m going to stop right here, right now lest I drizzle tears of despair upon the page. Instead, I shall talk about a kind of cookie, albeit a ‘hard’ one – Kpokpogari. 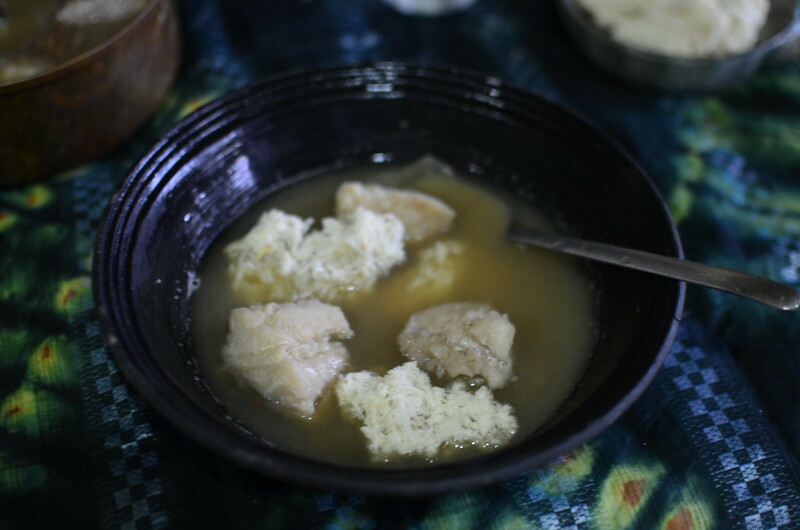 Think flattened clumps of grated, dried cassava enjoyed salted, with groundnuts, coconut, fish and even in pepper soup. I grew up eating kpokpogari made by my Isoko grandmother. Everytime momsie went to Uzere, grandmummy would send her Isoko garri and kpokpogari. 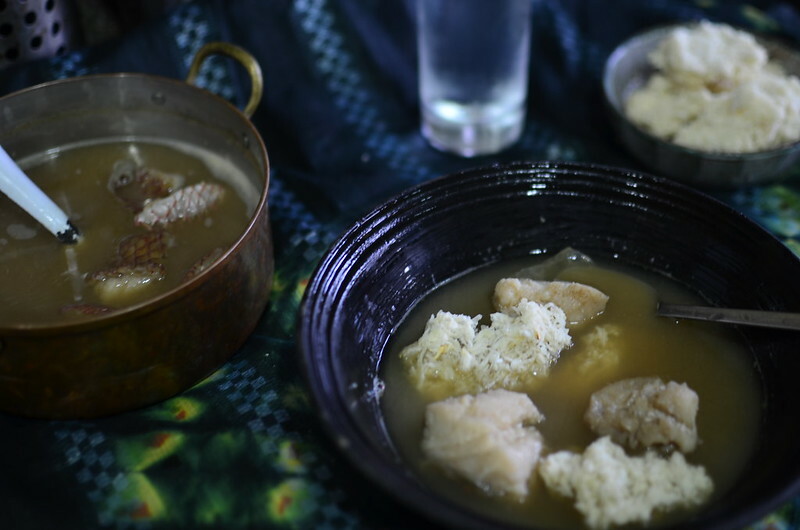 Common in many parts of the Nigerian south, particularly in the Niger Delta, this ‘snack’ is made from cassava, grated, milled fresh and packed in bags so the starch – cassava starch which is eaten, used for stiffening clothes etc – drains out. This is salted and then dried by pan-frying. It isn’t sieved to create a fine meal like gari. 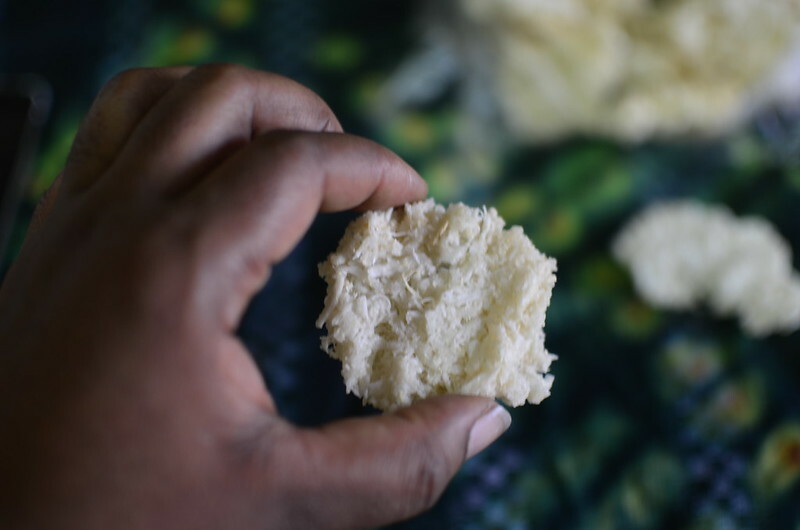 Quite the opposite – it ends up in thick clumps of fibrous cassava – real roughage as my mum would say. Eat too much and you’ll have to get friendly with Dr White. ‘Nuf said. 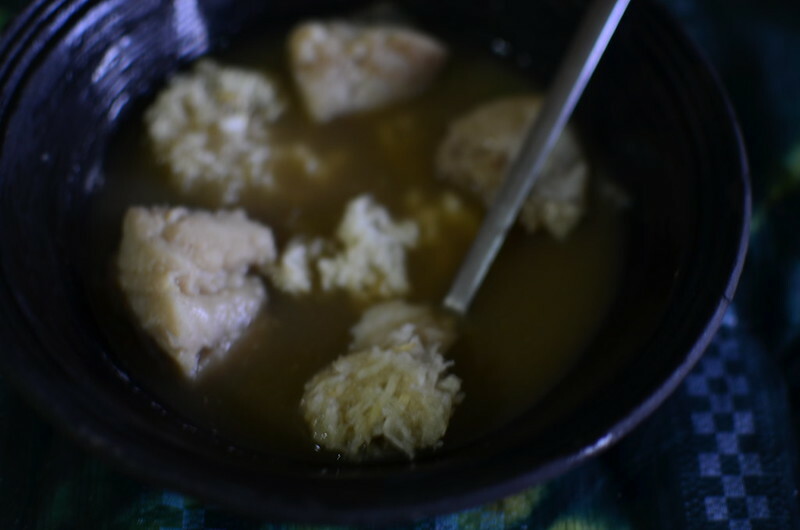 In many parts of the Niger Delta, it works as a great accompaniment to pepper soup, one the riverine Ijaws call it Gbena yei. All you need is some fresh fish to knock up a pot of delicious, heart-warming, soul-soothing and belly filling soup, kpokpogari and time to devour it. Sit at the table, contrary to your desire to curl up on the couch. Just in case you need to reach for a glass of cold water. 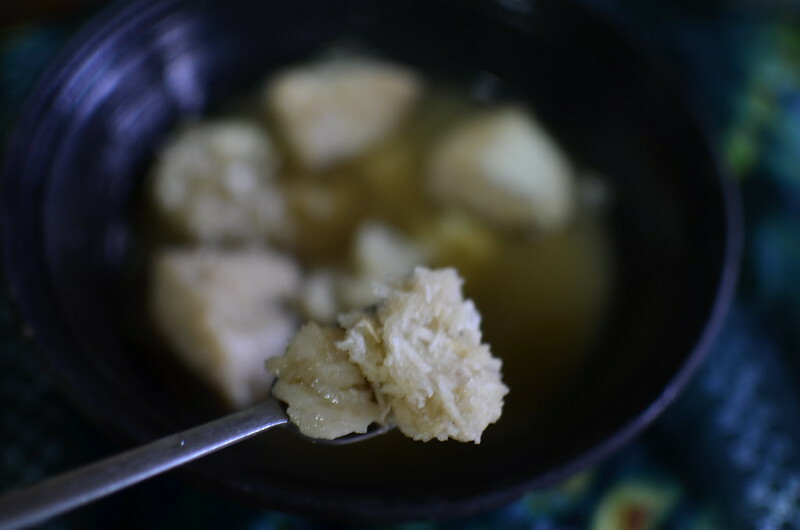 In the soup, the hard pieces of cassava soften. Even the toughest things know where to give in, and how. I take mouthfuls of both – soft and chewy and spicy. Altogether they bring warmth to my belly and my soul. Sigh, at once glad for the weather to enjoy such deliciousness, but upset too, for one can’t spend every waking minute of the season in bed.